When will I get my order? : Produced in 3 weeks. Shipping time is additional from NJ. 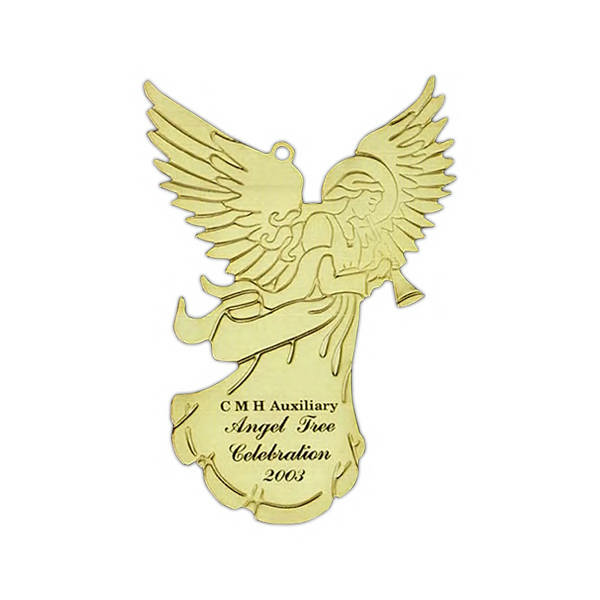 Our Communion favors angel ornaments are gold colored and include a one color imprint. They are also perfect for Baptisms or Christenings and lovely as Christmas party favors! Our angel ornament is priced to include a one color imprint and comes bulk packaged. 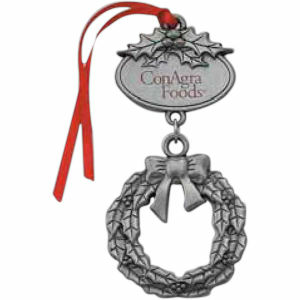 A gold cord comes attached to your ornaments. You can also order a double faced satin ribbon measuring 8" long and 1/8" in width for hanging your ornaments for an additional $.25 per ornament/ribbon. Displaying your personalized message is free of charge. A custom design, graphic, or logo is an additional $15. Production time is 3 weeks; you can select a rush production upgrade ($60.00) to produce in 2 weeks; add shipping time from Rhode Island. If there are any special artwork requirements, additional time may be needed. To view the UPS Ground Shipping Map, please Click Here.